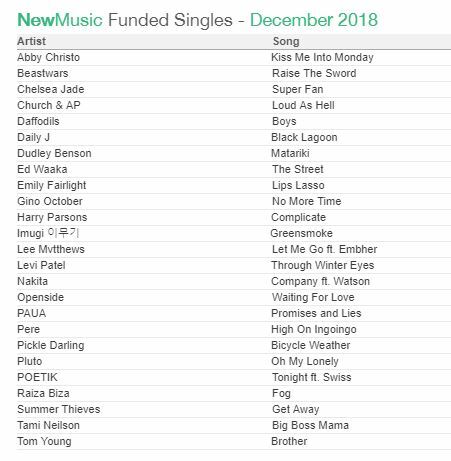 NZ On Air Music has published the results of their December 2018 New Music Singles funding round. Out of 159 songs that were submitted, 25 songs got through, including 10 artists who have not received NZ On Air funding before. 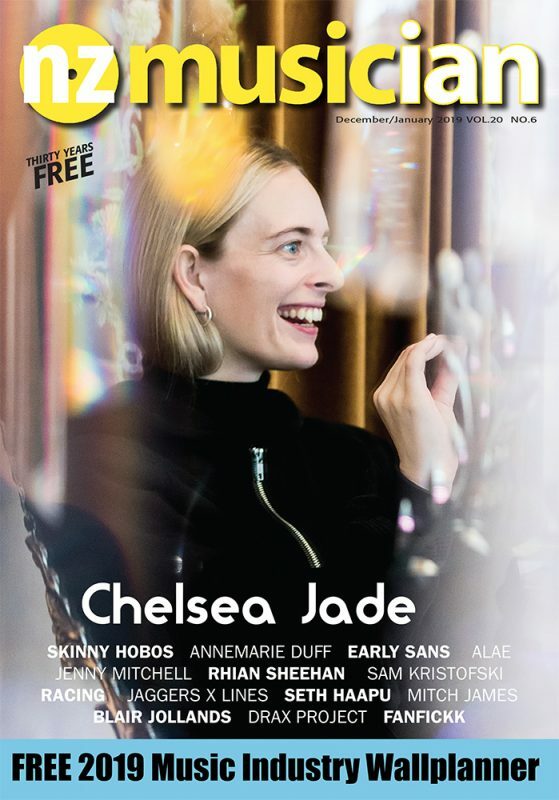 The panel was made up of RNZ‘s Alex Behan, Erin Broughton of Dunedin’s Radio One, Hannah Brewer of NZ On Air, Stuff’s Kate Robertson, publicist Leanda Borrett, Reagan White of The Rock network and MMF‘s Wairere Iti. 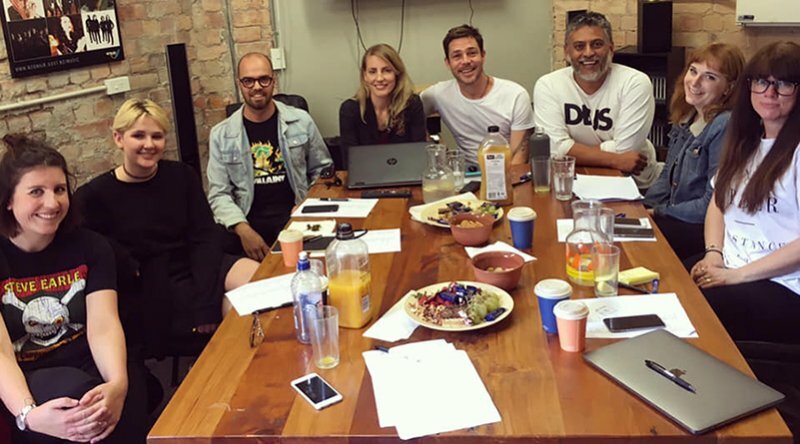 NZOA also announce a New Music Single funding round specifically for Pasifika artists and Pacific Audiences in early 2019. There will be up to 12 of these grants available for recording, video content and promotion of the song and details will be available next week at nzonair.govt.nz. The deadline for applications for this one-off Pasifika round will be January 31, 2019. The next New Music Single funding round closes on February 21 at 4pm. You can apply here.